Battle Castle airs Thursdays on History Television | TV, eh? Vancouver’s Parallax Film Productions has done everything in its considerable power to push the boundaries of Real TV with their series “Battle Castle”, the new featuresque documentary airing on History Television. The show is an interactive, trans-medieval journey into castle engineering, bloody siegecraft, and epic clashes that transform mortals into legends. 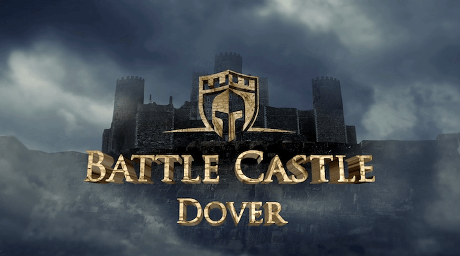 Hosted by UK celebrity Dan Snow, the show takes its viewers over six one-hour timeslots to Syria, France, Spain, Wales, Poland and England delving into the stories of six fascinating castles: Crac des Chevaliers, Chateau Gâillard, Dover, Conwy, Malbork, and Malaga. Parallax Film founder and the Executive Producer and Director of “Battle Castle”, Ian Herring and his business partner and Series Producer, Maija Leivo brought in London-based Ballista Media Inc. to co-produce the TV broadcast series while the convergent media component was co-produced by Agentic Communication Inc. in collaboration with Starlight Runner Entertainment, a New York-based transmedia company that has worked on projects including “TRON”, “Transformers”, and “Avatar”. The result is an interactive documentary experience which includes a high-concept website, episodic motion comics and a browser-based adventure game. Parallax Film Productions, the company that famously sank an aircraft carrier, imploded a sports stadium in 3D and deconstructed Machu Picchu all for the sake of their viewers, spent five years meticulously putting together each integral aspect of “Battle Castle”. In the end they had infused their documentary series with major feature film qualities. All of these elements to the series were then seamlessly stitched together by the writers and blended with Sound FX and music. Parallax Films included over 265 VFX shots into the show across 6 episodes making “Battle Castle” an extraordinary documentary series. With today’s growing popularity of medieval-themed shows such as HBO’s current TV hit “Game of Thrones” and the upcoming feature from Pixar, “Brave”, the only difference in “Battle Castle” is in the fact that its story is not fantasy, it’s real.